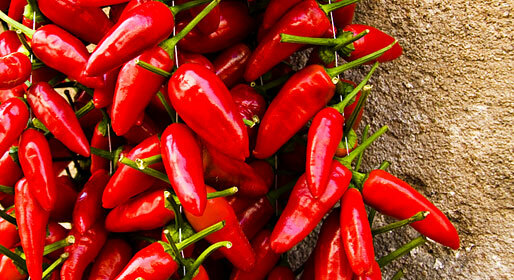 Origins and evolution of Calabria's peperoncino. The origins of Praia a Mare, town located in the province of Cosenza and among the most famous of the towns on Calabria's Tyrrhenian coast, date back to the Superior Palaeolithic age: hypothesis ascertained by excavation work carried out in the area from the 1950's onwards, and in particular in the Grotta del Vingiolo. 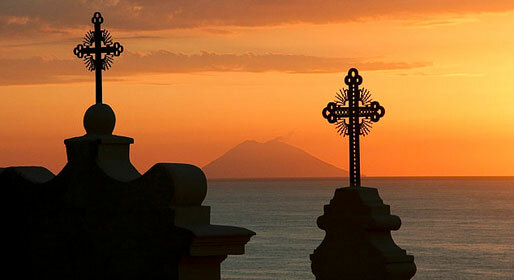 It is here, in the cave lying behind the town center, that the Sanctuary of the Madonna della Grotta is located, destination of a steady stream of both tourists and pilgrims. Well worthy of visit, the Torre Angioina di Fiuzzi is one of the largest watch towers in the area, erected so as to the protect the coast from Saracen attack. 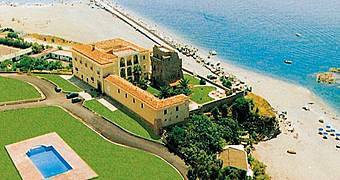 Other edifices of certain interest include the Rocca di Praia, a fortified complex dating back to the 14th century, and the Fortino, built in the 16th century by the Aieta family. The town's Museum houses an impressive collection of over 200 works of modern and contemporary art. Today, Praia a Mare boasts a wide choice of hotels and excellent leisure facilities, such as the Acqua Fans: one of the largest aqua parks in the whole of Southern Italy. 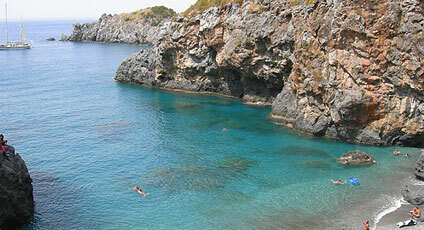 Fish and seafood are the major protagonists in the traditional cuisine of Praia a Mare. Among the many fish dishes, the "nudilla al pepe verde" deserves a special mention.